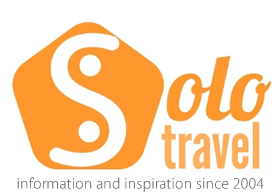 One of the biggest obstacles for the solo traveler to overcome is being potentially lonely on the road and this no doubt puts off many potential solos. There are many different ways of hooking up with other travelers such as staying in hostels, doing activities but what about meeting locals? This is where couchsurfing comes in. Basically couchsurfing involved sleeping on the couch of a host in their home city. There is no payment involved and very often the host will also show their guest around where they live and offer more than a couch in the way of a room. If you are traveling to a new city there is only so much a guide book can tell you whereas a local will more likely know all the cool places to go to. On the couchsurfing website you will find the profiles of the hosts and guests and this is key for the safety element as reputations are built up on reviews and trust. This is not fool proof and the usual safety precautions should be taken whenever you plan to meet someone new. As a host you can also offer to meet travelers just for a coffee rather than providing them with accommodation which is a cool new feature and particularly of interest to the solo traveler. We highly recommend couch-surfing and in terms of a solo travel experience it fills an important role and allowing travelers and locals to connect. It is easy to grow a little tired of staying in hostels and couchsurfing offers a great alternative.